Many of us have too many calls on our time, and not enough hours in the day. You can improve the situation by managing the time you do have. But it is not always that simple. There are other factors to consider. First, evaluate why tasks are on your list- do they need to be done, or are you doing them out of habit? Can you do them more effectively? Could you delegate them? What about interruptions and new tasks -where do they go on the list? Assess each one as they come in, deal with the immediate jobs that won’t wait. Delete what you can from the list- be ruthless. Effective Time management is a skill you can learn .It does take time and practise to hone your skills, and an organised approach is necessary. Goal setting —SMART- specific, measurable, achievable, realistic and time bound goals. Prioritising – decide which tasks are most urgent, and which the most important. Not allowing procrastination-this takes self-discipline, focus and decision making. You can reduces stress for yourself and others by managing expectations. Better to say right away that you won’t be able to deliver a project on the requested date without affecting other tasks. It should be rescheduled or you will be forced to rush the project, and will not be able to do it justice .If a new deadline isn’t agreed, you have made your position clear. Everyone knows that you will do your best in the time you have, but it may not be to your usual standard. The feedback I have received from articles we have published says that many people cannot manage their own time because their manager “steals their Time “. Many have asked for solutions to this difficult problem. 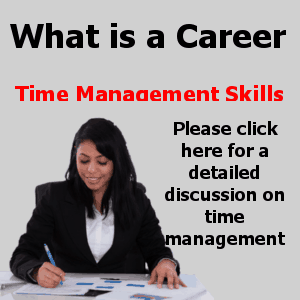 The first thing I would suggest is making it known to your manager that you are adopting a time management programme. When they ask you to do something, evaluate it and decide on its place in the list and tell them the expected delivery date. If they object, explain what the other tasks are ahead of theirs, and why. If you have a strong rationale, you should be able to persuade them to accept your date. Perhaps you can persuade them to adopt a time management programme themselves. Maybe you could say that if everyone used it, then the whole department might run better. Perhaps you could encourage them to plan forward, so that they don’t need to spring urgent jobs on you. Why do they have to ask you to do things urgently? Are they disorganised? Or is it the environment you all work in? Perhaps matters change all the time and you have to be reactive rather that proactive. If you are in a rapidly moving environment such as a Newsroom or TV channel, or Accident and Emergency Room, there is a skill in evaluating how long you dare delay performing an urgent task, in case it changes again! It is a very delicate balance, you probably need to be reactive, but not too reactive, in case you end up changing tack again. From experience I would say you should usually finish whatever you are doing before changing tack. Carefully evaluate how fast to react to each “emergency “! This is the skill of time management! !